Our portfolio of trusted brands allows us to speak intimately with local communities. 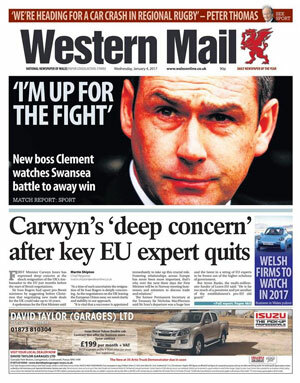 As Wales’ only daily national title the Western Mail gives you fresh news and insight into all the issues affecting Wales and beyond. You can find news, opinion, politics, sport, property and everything in between. Possibly Wales most iconic national publication and Wales' only daily national title, The Western Mail reaches the largest and the smallest communities across the principality. First with the views, topics and latest news affecting South Wales and Wales as a whole. Your brand needs an audience and we have the leading audience statistics for the area as part of Media Wales. WalesOnline is Wales' leading media company with unparalleled visitor traffic within the Welsh market. With over 3.6 million monthly visitors and almost 28 million page views per month, a rounded print and online ad campaign provides unbeatable brand exposure within South Wales and Wales as a whole. WalesOnline is THE place for news, views, jobs, business news and sport in Wales. Highly commended, Best Local/Regional News Site, Online Media Awards 2012. 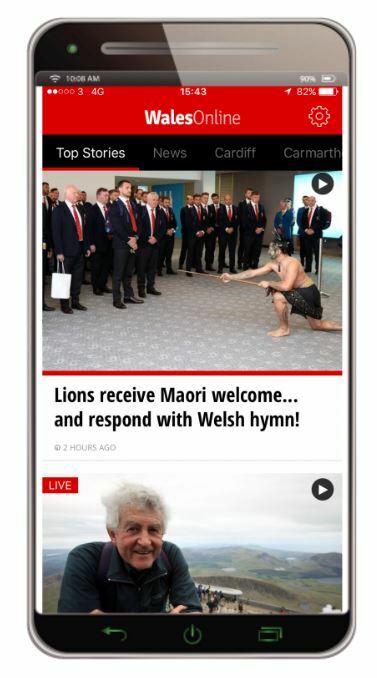 WalesOnline is part of Media Wales, publisher of the Western Mail, South Wales Echo, Wales on Sunday, South Wales Evening Post, Carmarthen Journal, Llanelli Star and the seven Celtic weekly titles, offering you unique access to our audience across Wales, online and in print. We offer unrivalled coverage of South Wales in print, online and via our social channels. Our varied platforms cover a wide range of topics from the latest news and sport to business in Wales, Health & Lifestyle, Education & Training, Country and Farming, Motoring and Welsh homes. Apart from being awarded Winner, News Website of the Year, Wales Media Awards 2017, WalesOnline is Wales' leading media company with unparalleled visitor traffic within the Welsh market. With over 3.6 million monthly visitors and almost 28 million page views per month, a rounded print and online ad campaign provides unbeatable brand exposure within South Wales and Wales as a whole. Wales on Sunday is first for Welsh news sport, opinion and analysis. With its brilliant 20-page sports pullout you can read all the action from our ‘on the pulse’ sports reporters as well as Wales-wide news, perfect for a Sunday. Wales on Sunday is about more than news coverage. It’s about building your business too. We have an innovative approach to contacting new prospects for you. So we can help devise a fully integrated marketing campaign, embracing press and online. As media constantly changes we've taken it as a new way to engage customers and increase opportunities for advertisers. We've gone beyond a news website to offer a multimedia approach embracing website building, video technology, and digital marketing strategies. Whether you wish to reach a mass regional audience or target a niche segment we can work with you to place your brand in front of the right people at the right time in the right place. Business in Wales is aimed at reaching influential people in business across Wales’ diverse and vibrant business sectors. 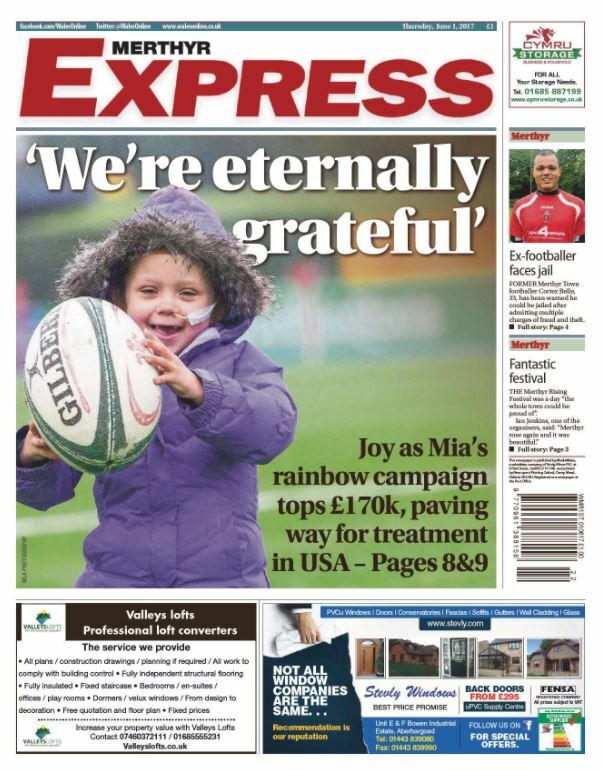 The new-look tabloid magazine, printed on high quality newsprint with a glossy cover, is inserted into the Western Mail every quarter, delivering a wider and more attractive business audience. Building on the strength of the Western Mail, the Business in Wales magazine reaches an attractive business audience to ensure that your brand is put in front of those with purchasing power and responsibility. We are the definitive voice for Welsh Business and are looking to partner commercially with reputable businesses in Wales and place them as the voice of authority on their business category. Business in Wales in enhanced by the largest commercial news site in Wales, Walesonline.co.uk, with over 3.6 million unique visitors per month, offering your business an unparalleled opportunity to reach an affluent, influential target market. The South Wales Evening Post, published six days a week, has been serving the local community for more than 120 years. Its three editions cover the key locations of Swansea, Neath & Port Talbot, and Carmarthenshire, making it a great medium for reaching the South Wales community. The latest Swansea news, views, what's on and lots more. Powered by the journalists of the South Wales Evening Post and WalesOnline. 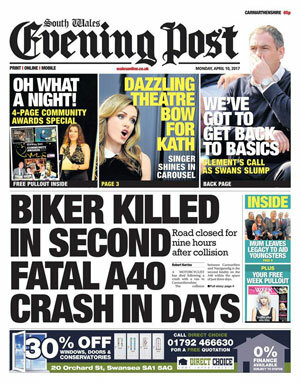 The South Wales Evening Post is about more than news coverage. It’s about building your business too. We have an innovative approach to contacting new prospects for you. So we can help devise a fully integrated marketing campaign, embracing press and online. We've gone beyond a news website to offer a multimedia approach embracing website building, video technology, and digital marketing strategies. One of Wales most iconic and best loved publications – the South Wales Echo has been at the heart of news in the capital since 1884. 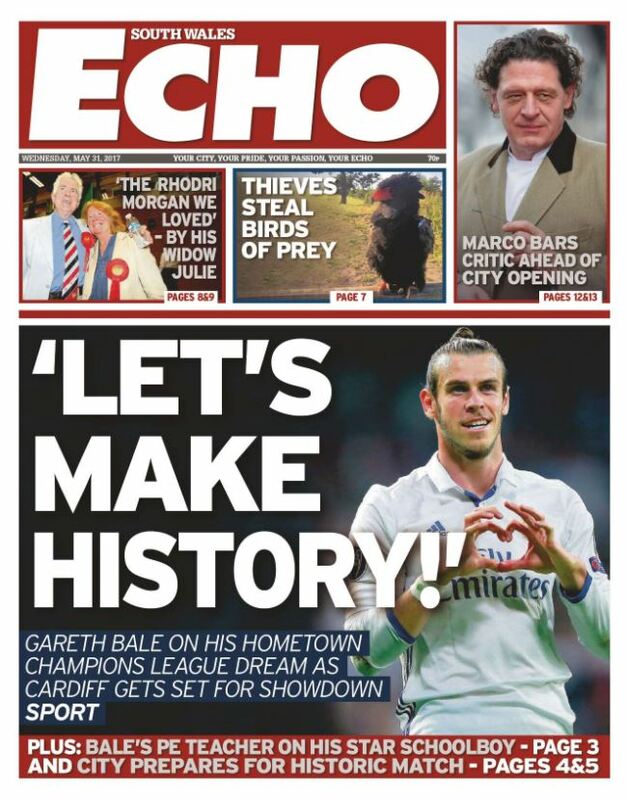 With the very best in news and views from across the city, the Echo promotes all that is good and great about Cardiff life and living. With everything you need to live, work and play in Wales' buzzing capital city, you can get the best local insight, heart-warming real-life stories, unrivalled content on Cardiff city as well as a vibrant set of supplements out every day with the South Wales Echo. 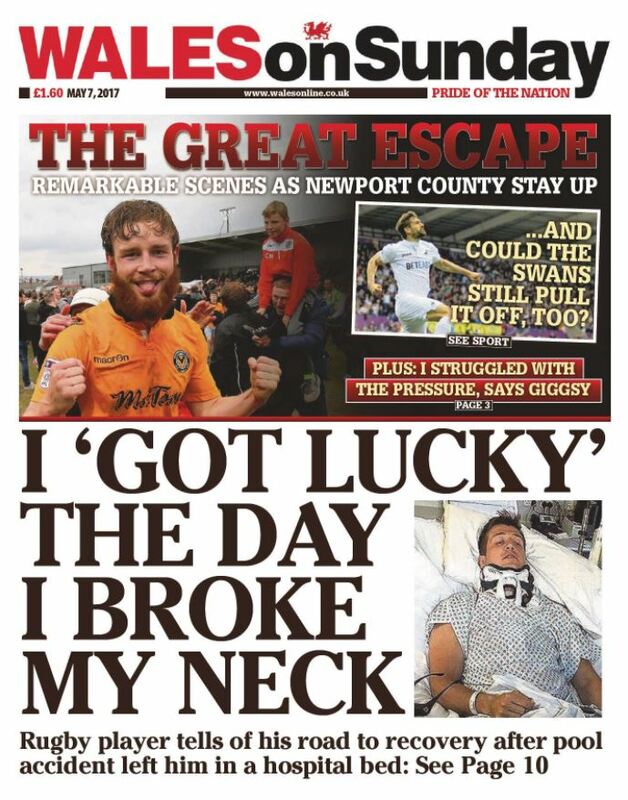 The South Wales Echo is about more than news coverage. It’s about building your business too. We have an innovative approach to contacting new prospects for you. So we can help devise a fully integrated marketing campaign, embracing press and online. As media constantly changes we've taken it as a new way to engage customers and increase opportunities for advertisers. We've gone beyond a news website to offer a multimedia approach embracing website building, video technology, and digital marketing strategies. Serving Carmarthenshire for over 200 years..
Its four weekly editions cover the Town, Whitland & St Clears, Gwendraeth Valley, and Llandeilo & Llandovery, making it a great medium for reaching the Carmarthenshire community. Each edition reports on breaking local news, what’s on in the community, local sport, local entertainment, as well as jobs, motors and homes platforms. PLUS a great seven-day TV guide. 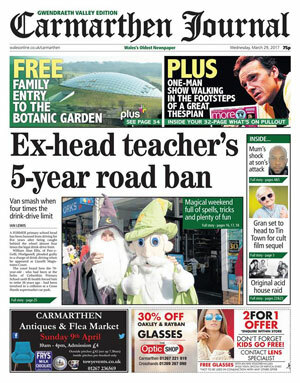 The Carmarthen Journal is the most reliable platform for reaching consumers across the Carmarthenshire area. Its passionate about local communities and promoting what's good and what's great about Carmarthenshire. Effective coverage of Llanelli, Llanelli Rural, Burry Port, Kidwelly, Pontarddulais and Gorseinon makes the Llanelli Star an excellent medium for reaching consumers in the local community. The paper reports on breaking local news, what’s on in the community, local sport, local entertainment, as well as jobs, motors and homes platforms. PLUS a great seven-day TV guide. 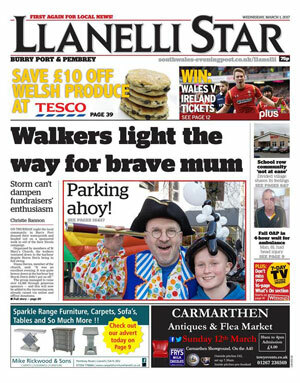 Founded in 1909 the Llanelli Star has established itself as the best read newspaper in its area. By focusing on truly local news and information it has forged itself a special place in the hearts of the community. A true community focussed publication with its heart set firmly at promoting what's good and what's great in its area. The Llanelli Star is the leading publication in its area and provides the perfect platform to reach consumers across South Carmarthenshire's vibrant communities. 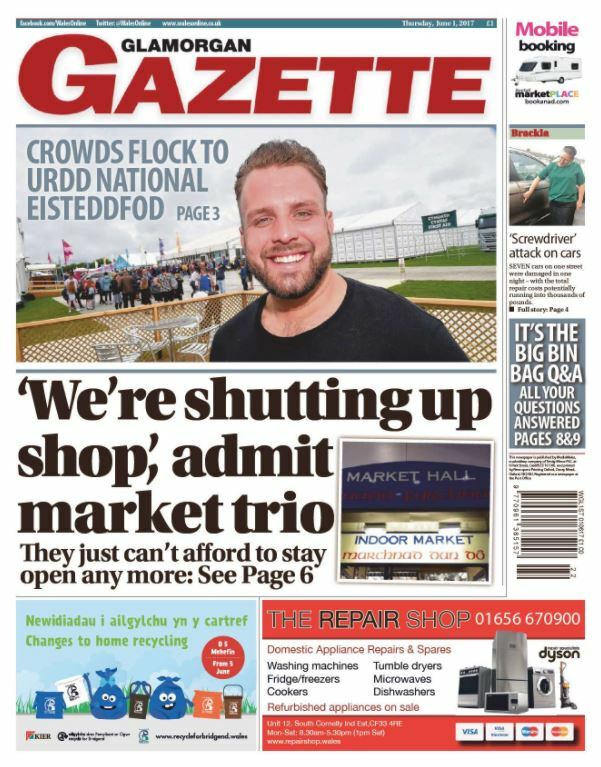 From Maesteg in the West, across the Vale of Glamorgan and Bridgend itself, the Glamorgan Gazette is one of seven weekly newspapers that reach 22% of adults in the area 52 weeks of the year. Each paper reports on breaking local news, what’s on in the community, local sport, local entertainment, as well as jobs, motors and homes platforms. The Glamorgan Gazette is the most reliable platform for reaching across the Vale of Glamorgan and up to the foot of the South Wales Valleys. Its passionate about local communities and promoting what's good and what's great about living in The Vale. Covering the heart of the South Wales Valleys, the Pontypridd Observer Series (including Rhondda Leader) is one of seven weekly newspapers that reach 22% of adults in the area 52 weeks of the year. Powered by the journalists at Media Wales and Wales Online. From Treherbert to Treorchy to Beddau and Pontypridd itself we are passionate about local news views and events. This weekly publication is all about what's great in the Pontypridd and valleys communities. 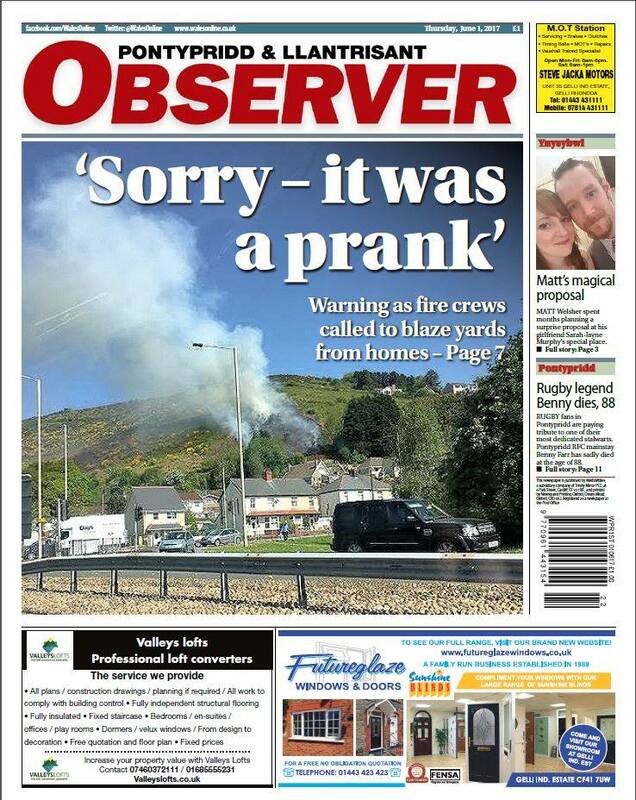 The Pontypridd Observer is the most reliable platform for reaching around the bustling Pontypridd and Valleys area. Its passionate about local communities and promoting what's good and what's great about valley life. From Vaynor and New Tredegar down to Treharris and Merthyr itself, the Merthyr Express Series (including Rhymney Valley) is one of seven weekly newspapers that reach 22% of adults in the area 52 weeks of the year. Each paper reports on breaking local news, what’s on in the community, local sport, local entertainment, as well as jobs, motors and homes platforms. PLUS a great seven-day TV guide. From Treharris to Vaynor to Bargoed and the busy town of Merthyr Tydfil and its surrounding area, we are passionate about local news views and events. This weekly publication is all about what's great in and around Merthyr and valleys communities. Powered by the journalists at Media Wales and Wales Online. The Merthyr Express is the most reliable platform for reaching our audience in and around Merthyr Tydfil and the bustling valleys area. Its passionate about local communities and promoting what's good and what's great about valley life. 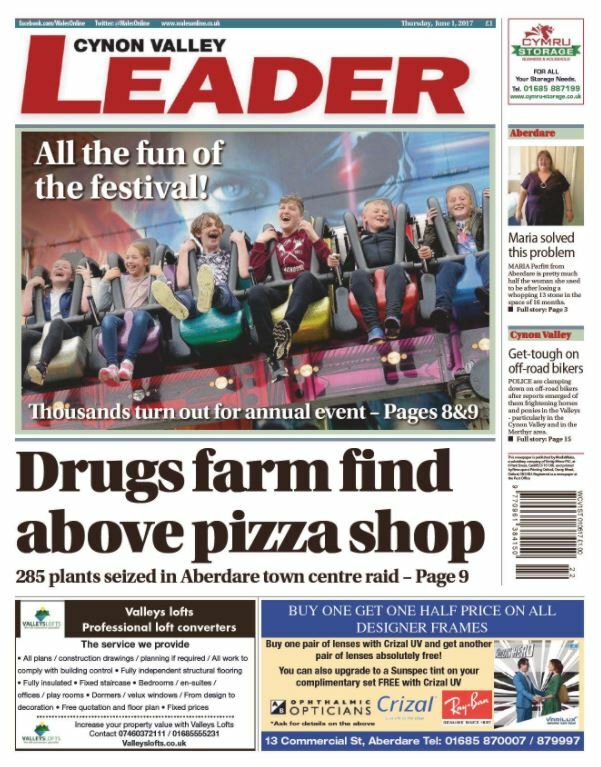 Nestled neatly geographically between its sister titles the Pontypridd Observer and Merthyr Express the Cynon Valley Leader is one of seven weekly newspapers that reach 22% of adults in the area 52 weeks of the year. The Cynon Valley Leader is the most reliable platform for reaching across the Cynon Valley and sits at the heart of its communities. Its passionate about local projects and promoting what's good and what's great about living in in the Cynon Valley area. Fun, female, and above all fanatical about Swansea life. Swansea Life’s high quality content, packaged in a glossy and easy to read format, inspires the reader and offers a snapshot of the latest fashion and beauty news, health and wellbeing, fantastic food and drink, and just about everything else that’s local. Swansea Life is a quality, lifestyle and fashion orientated monthly glossy magazine focussing not only looking good and feeling great but providing great ideas for homes and living. Packed with advice on fashion, lifestyle, nights out, the social scene across the Swansea area and home living, this highly visual and attractive magazine demands attention! Apart from our regular reader subscriptions and vendor sales, Swansea Life is also distributed to key lifestyle business and venues across the area. WM is a glossy, light, vibrant fashion and lifestyle magazine directed at the independent female. Flirty and fun as well as family focused WM has something for everyone. 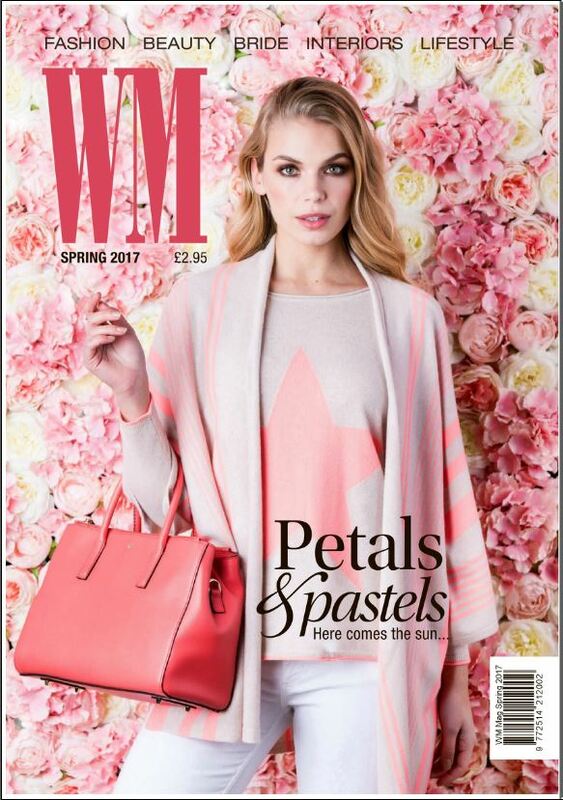 WM is first with fashion, beauty, bridal, entertainment, interiors and all things stylish. WM is a compelling, witty and confident glossy that delivers exactly what readers want on every single page. WM is aimed at the young-at-heart independent woman who is likely to be in a full-time professional job. She is interested in fashion, shopping and beauty and enjoys spending her disposable income on clothing, cosmetics, holidays, shoes, eating out, handbags and accessories. Selectively distributed to maximise a predominantly ABC1 female readership. 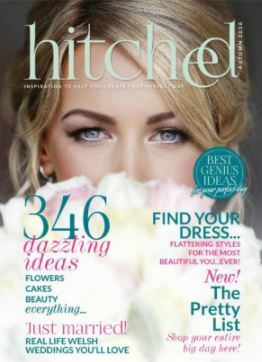 Hitched is a quality, glossy magazine published bi-annually, providing all the inspiration any couple could need to help create their perfect day. Packed with advice on local venues, dresses, jewellery, photography, hen parties, honeymoons and a whole lot more. ‘Hitched’ is the go-to source for all things wedding! From dresses to nails, make up, cake makers, transport and what to buy for the bridesmaids, this is the "Go To" guide for all things wedding related from choosing your venue and theme to finding the right photographer. This handy "grab and go" guide is distributed to key businesses across South, East and West Wales sitting prominently with industry related businesses and venues of distinction. 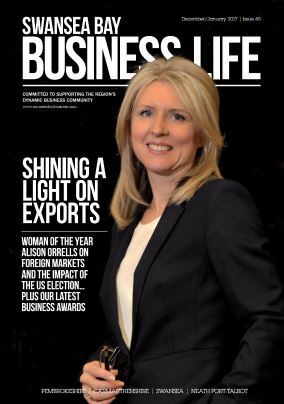 The Swansea Bay Business Life Magazine is published Bi Monthly and distributed across the Swansea Bay Business Region. It looks to champion the best of business in the region while covering national and international business issues from a local perspective. Its in-depth features, interviews, columns and news analysis are read by directors and senior decision makers in the region’s business and public sector communities. 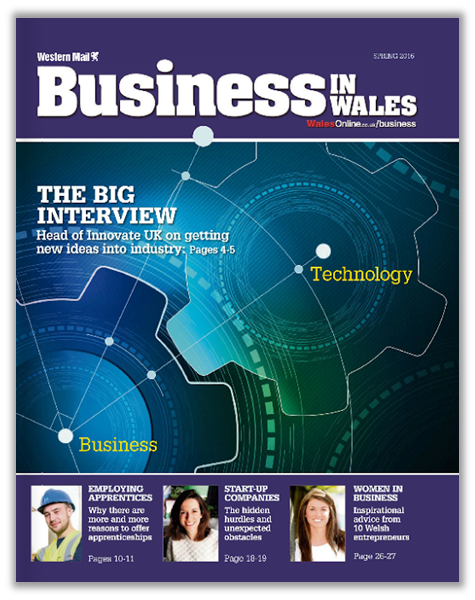 6,000 copies are distributed directly to senior business leaders and decision makers across the Swansea Bay Business Region. Swansea Bay Business Life is enhanced by the largest commercial news site in Wales, Walesonline.co.uk, with over 3.6 million unique visitors per month, offering your business an unparalleled opportunity to reach an affluent, influential target market.